Hebden Bridge Disability Access Forum, which covers the surrounding hill top parishes as well as Hebden Royd, has produced a leaflet offering consultation to applicants and potential applicants for planning permission/builiding regulations/listed building consent. Calderdale Council planning department are now giving this out to applicants for projects in our area. A copy of the leaflet can be seen here. Please can you pass it on to anyone you think it may interest, especially anyone who approaches you about planning issues. It is designed in A5 size to print out, but of course it can also be distributed electronically. Click on the following link to see the agenda for the Annual Assembly of the Parish Meeting to be held in The School Hall, Heptonstall J I & N School on Monday 4 March 2019 commencing at 7.00 pm. Click on the following link to see the agenda for the March Monthly Meeting of the Parish Council to be held in The School Hall, Heptonstall J I & N School on Monday 4 March 2019 commencing at 7.30 pm. Minutes arising from the 2108 Assembly Meeting can be seen here and for the February 2019 Parish Council meeting can be seen here. The Brutish Multitude are a voluntary group that was formed in early 2018 in the ancient village of Heptonstall West Yorkshire, to research and produce a community play based upon the 1643 English Civil War battle, the Battle of Heptonstall. 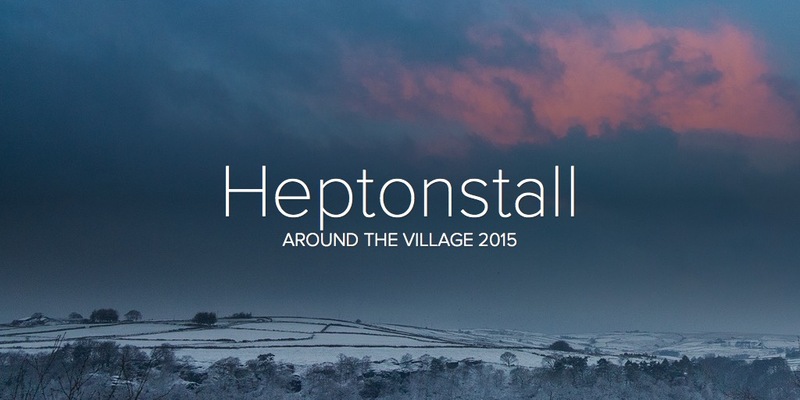 The Battle of Heptonstall is a fast moving community play with a cast of sixteen local actors. It tells the story of the 1643 battle of the same name through a family of clothiers, the Cockcrofts as they struggle to keep the Civil War at a distance, to carry on making cloth, surviving without taking one side or another. Accompanying the narrative there is both period and original music by arranger and composer Katie Chatburn, all performed in the majestic setting of St Thomas the Apostle Church Heptonstall. The play is written and directed by playwright Michael Crowley and funded by Sky Arts as part of their Art 50 programme. The show is the culmination of a year long process of research, writing, composing and rehearsal and produced by The Brutish Multitude, a company established specifically for the project. In November 1643 a royalist army travelled the upland road from Halifax through the night and gathered at the river’s edge in Hebden Bridge. In Heptonstall taking up siege positions, were around 750 roundheads led by Colonel Bradshaw. Bradshaw and the roundheads knew the local terrain. As the royalist soldiers and cavalry began the 500ft climb to Heptonstall at dawn, they were met with a cascade of falling rocks followed by the roundheads. Men were trampled underfoot by panic stricken horses running back down the buttress. The army beat their retreat over the narrow bridge some plunging into the river to escape, only to be swept away by a raging torrent following heavy rain. There will be a public lecture on the project in Hebden Bridge at 7:00pm on 4 February 2019, in Hebden Bridge Town Hall. Secretary of Hebden Bridge Historical Society Murray Seccombe will set the scene with an introduction: Dangerous times: life in Halifax parish before the Civil War, followed by historian John Spencer who will talk about the local battle in detail. After the break playwright Michael Crowley will talk about the English Civil War’s place in drama and the forthcoming community play The Battle of Heptonstall which will be produced in St Thomas the Apostle Church Heptonstall at the end of February. A few scenes from the play will be performed as part of the lecture. There will be bar available and time for a Q and A. More details and opportunity to purchase tickets are available on the Eventbrite website. The play itself will be performed at 7:30pm on 28 February 2019 in St Thomas the Apostle Church in Heptonstall – (please use bowling club car park – Heptonstall HX7 7LJ), with additional performances at the same venue each night on Friday 1 March and Saturday 2 March 2019. More detail and tickets for these performances of the play on the Eventbrite website. A final performance is planned for 7:30pm on 9 March 2019, this time at Halifax Minster, Causeway, Halifax HX1 1QL. Once again, more details and tickets are available on the Eventbrite website. Additional information about The Brutish Multitude and the development of the play, including a short film, can be found on the groups own website. Click on the following link to see the agenda for the February Monthly Meeting of the Parish Council to be held in The School Hall, Heptonstall J I & N School on Monday 4 February 2019 commencing at 7.30 pm. Minutes arising from the January 2019 meeting can be seen here. Click on the following link to see the agenda for the January Monthly Meeting of the Parish Council to be held in The School Hall, Heptonstall J I & N School on Monday 7 January 2019 commencing at 7.30 pm. The meeting will be preceded by an opportunity for public discussions with Ward Councillor Sarah Courtney at 7.00 pm – see associated public notices for more info. Minutes arising from the December 2018 meeting can be seen here.